That crowd with Jesus is given an opportunity to get close to him. He asks them to call the blind man forward. Now they are listening to his word and responding, a sign of discipleship. “Rabboni, My teacher,” is now their teacher as well, showing them how to be his disciples. We have to stop scolding those who call out for help, even when they are disruptive to our sense of decorum. With Jesus, as teacher, we need to reach out to those on the “roadside,” those the crowd passes by because they seem of no or little worth. This is the first time in Mark that someone is allowed to name Jesus as Messiah. Peter attempted, but Jesus hushed him. Others also tried, but Jesus told them to keep it a secret. When the beggar cries out giving Jesus a messianic title, “Son of David,” the crowd tries to quiet him. They may have thought that, once again, Jesus wanted to keep his messiahship a secret. But Jesus stopped and gave the man his sight. Jesus was ready to enter Jerusalem and show them the truth about what kind of Messiah he was. There, as he predicted, Jesus will suffer and die. 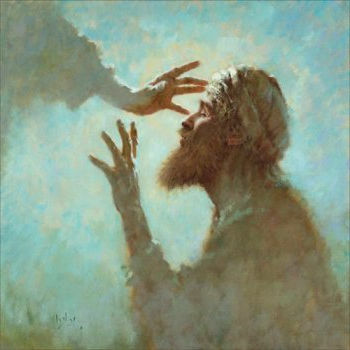 The beggar, now that he has his sight, follows Jesus. He will see many things those who had physical sight would miss. We must make sure we see, and not try to silence, the hungry, the outcast, the immigrant and the lost. Those so-called followers of Jesus were the blind ones. But the Teacher had more to teach them, if they, like the blind beggar whose site was restored, were willing to get up, leave behind what hindered their faith journey and follow Jesus.